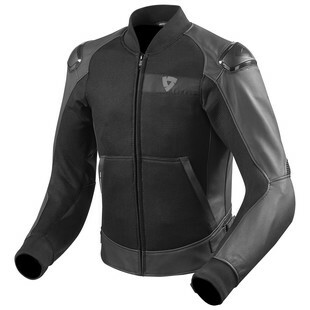 If you are a rider who wants to have the most protection available in a jacket but not look like a MotoGP racer upon disembarking from your motorcycle, take a look at the upcoming Blake Jacket from REV'IT!. The REV'IT! Blake Jacket features REV'IT! 's familiar Monaco performance cowhide and PWR | shell 500D exterior as used on the popular Masaru and Akira jackets but with an entirely new, uniquely understated style. Just looking at it, one would never guess that the Blake Jacket houses CE-level 2 Seeflex shoulder and elbow armor with accommodations for the CE-level 2 Seesoft back protector. Further increasing the Blake Jacket's off-bike utility is a new detachable hood. Overall if you are a person who wants the best of two words this jacket is a winner!